Many communities have initiated permanent pharmaceutical collection programs, while others have organized single-day collection events. 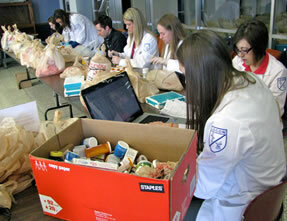 Some programs are specifically dedicated to collection of unwanted medicines. Others accept pharmaceuticals as part of larger household hazardous waste collection programs. 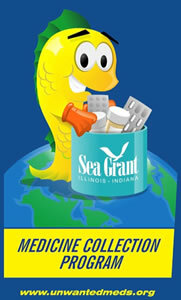 The Illinois-Indiana Sea Grant resource toolkit, Disposal of Unwanted Medicines: A Resource for Action in Your Community was created to help communities design, establish, and implement safe and legal medicines collection programs. 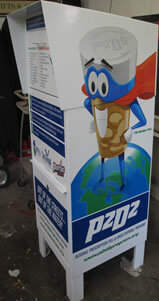 Prescription Pill and Drug Disposal (P2D2) program has successfully started permanent collection sites in communities across the United States and can provide advice on how to start a program in your area. Funding: Next on the checklist is to find funding for pharmaceutical disposal. Currently, there is no national funding source for medicine collection programs. Locally you may find assistance from police departments, pharmacies, household hazardous waste (HHW) offices, public health departments, or environmental groups. In Illinois, the Prescription Pill and Drug Disposal Fund (Public Act 097-0545) will provide reimbursement to law enforcement agencies for collection, transport and incineration of medicines collected from residential sources. In the Great Lakes States, groups are working to achieve a nationally coordinated system for managing pharmaceutical waste. Controlled Substances: Controlled substances are drugs that have strong potential for abuse or addiction. They include narcotics, stimulants, depressants, hallucinogens, and anabolic steroids. Under the federal Controlled Substances Act, only the person who was prescribed a controlled substance may legally possess it. The only exception is for law enforcement officials, who are authorized to take controlled substances into their custody. Pharmacies and doctors are not currently able to accept them. It isn't easy for consumers to identify controlled substances because they are not labeled as such. Since most people do not know the difference between controlled and non-controlled substances, law enforcement should be present at any collection event, even if it is advertised as not accepting controlled substances. For single-day events it is important to have pharmacists present to ensure proper separation of controlled and non-controlled medications. A law enforcement officer will need to oversee collection and witness the destruction of the controlled substances after the collection is done. Hazardous Waste Regulations: Under the U.S. Resource Conservation and Recovery Act, waste from households is exempt from hazardous waste regulations. However, some states regulate hazardous waste from households if it is consolidated in a single location, such as at a medicine collection event or program. Check with your state’s environmental agency to see if the participation of a hazardous waste hauler is necessary. Publicity: Getting the word out is really important to hosting a successful collection. People need to know why bringing their unwanted medications to a collection event or program site is important. They also need to know what items they can (prescription and over-the-counter medicine) and can’t (needles or “sharps”, hydrogen peroxide, empty bottles, illegal drugs, etc.) bring. Also, they need to be aware that medications should remain in the original containers with the product name legible on the label to help staff identify the contents. Convenience: Collection programs must be easy to use. If possible, the program should be free and provided during hours when people are likely to be available (before or after typical working hours or on weekends). The location should be secure but easily accessible. Safety: Contact with some pharmaceuticals can pose safety risks to pharmacy workers or collection participants. Some drugs are hazardous through skin contact while others pose an inhalation threat. Reactions between certain substances are also possible. Liquids may be hard to control, and spills of certain medicines could require special clean-up procedures. Take safety measures to protect the health of the collection staff receiving and managing returned pharmaceuticals. Keep medications in their original packaging to prevent reactions in the collection bin. Anyone handling medications or the containers should wear gloves as an extra precaution. Have gloves in small and large sizes available for collection workers. Record-keeping: If possible, keep records of the medicines and other items you collect, but not identifiable personal information. This information can be valuable to researchers who are trying to develop improved prescription and patient communication practices. Participant Privacy: Maintaining anonymity for participants is critical. One method to ensure privacy is to ask participants to black out their personal information on the medicine label with a pen or marker before dropping off the containers. Personal Care Products: In addition to medicines, participants may bring in vitamins and homeopathic remedies and other personal care products. Some of these substances may be regulated as hazardous waste due to the presence of metals or solvents. While collecting these may increase waste volumes, they should not pose regulatory or environmental problems as long as they are managed along with pharmaceuticals. Disposal Method: Collected medicines are generally handled as municipal solid waste. 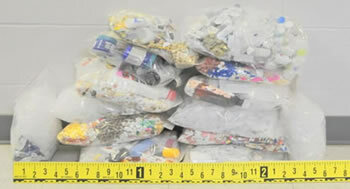 Depending on state and local requirements, organizers of collection events or programs typically dispose of pharmaceuticals at permitted incinerators. The EPA provides a national list of state waste management authorities. Contact them to make sure that the collected pharmaceuticals are managed in accordance with all local and state environmental regulations.